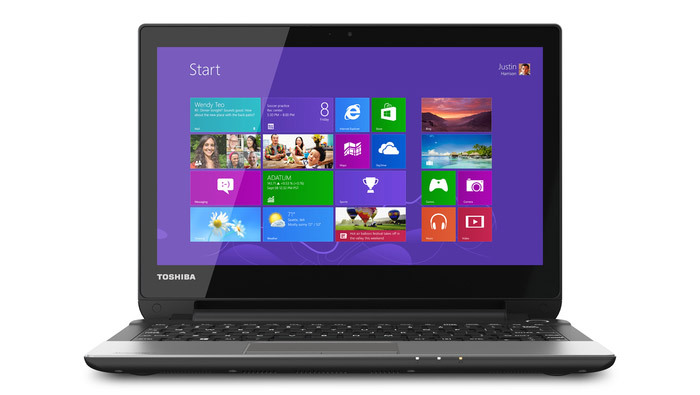 The Japanese Toshiba has started the sales of its new budget-oriented Satellite NB15t notebook – a device with a smaller 11.6-inch display. The notebook is housed in a light and thin metallic chassis and includes the latest Intel Haswell processors and Intel HD graphics. Designed for students the Satellite NB15t includes 4 GB of DDR3-1066 RAM (up to 16 GB), a 2.5-inch 500 GB hard drive at 5400 rpm, a card reader, a web camera, 802.11n Wi-Fi, Ethernet LAN, USB 3.0, HDMI, built-in speakers with DTS sound, and a 6-cell Li-ion battery that can power the device for up to 5 hours. The sales price of the new Toshiba product is just USD 379.99.